Zero compression, always. No signup required. In 2006 uploading and sharing an image could be a trying experience. At that time the majority of hosts needlessly required you to login before uploading, and compressed images beyond recognition, out of this frustration cubeupload was born. Now 10 years old, cubeupload hosts thousands of new images a day, joining the millions already uploaded. We think that by not compressing images and focusing on privacy, we are helping people preserve and archive images for years to come. cubeupload maintains itself as a not-for-profit, supported by minimal adverts. You're breaking your Dog's heart when you put it in a kennel or can't walk it. Stop breaking your Dog's heart you monster. Connect owners with loving carers, conveniently and quickly. 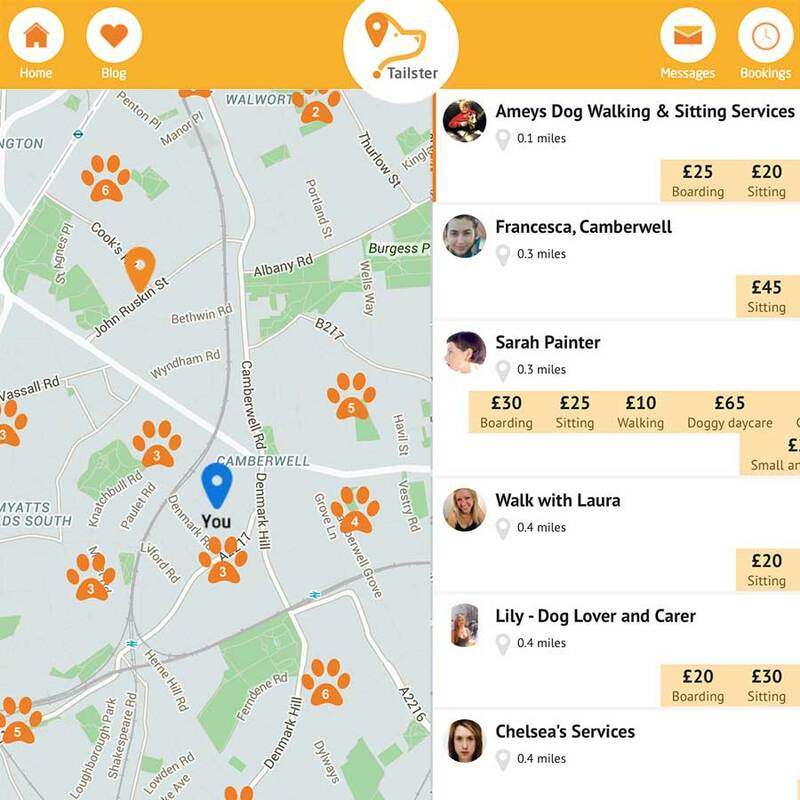 Tailster brings dog owners, in need of sitting and walking, together with professional carers. Working in a typical time-pressured startup environment, it was my responsibility to learn AngularJS and Breeze whilst building the site from the ground up. Later I helped newer hires learn the system and troubleshoot issues. As a team we would routinely plan and execute 2-week sprints to bring a better experience to the users, and their woofing companions. We also had the best dog-based puns in the game. DefineFor.Me is a Dictionary that removes all but the essential, the definition. Built with Wordnik's wonderful API, definitions are fetched via AJAX, displayed clearly and boldly, with History API ensuring navigation expectations are maintained. Whether niche or broad a problem, the right question acquaints you with the user like a friend, that you can better help them and solve their problem. The more a problem is understood the nimbler can the solution be, from clarity of technical vision, minimising tech-debt and alterations, to the delight of the person using whatever it is. I’m looking to solve problems for a company that has strong sense of social purpose that informs the work they do.